Home > Blog > Gatwick Airport Divulges New Plans to Change Retail and F&B Offer. Gatwick Airport Divulges New Plans to Change Retail and F&B Offer. On the occasion of its 5th birthday, Gatwick airport has announced to initiate a plane to put in £1bn investment to renovate the airport. 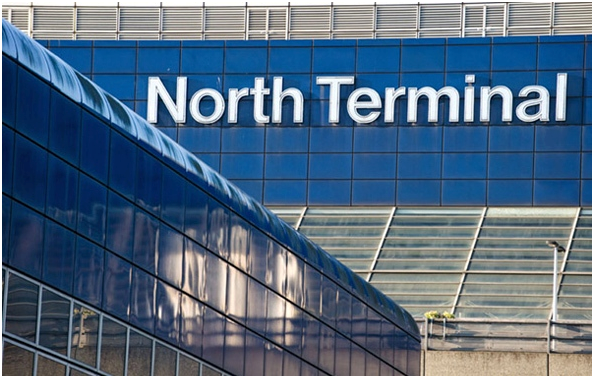 The focus of this renovation plan will be the expansion of Gatwick’s North Terminal, improving passenger’s experience and enhancing retails and food & beverage (F&B) offers. Gatwick airport has been in changing phase from last few years and this investment plan will bring more positive changes in terms of customers’ satisfaction and commercial benefits. Travelers’ feedbacks indicate that the Gatwick needs to provide more Variety of retails. The year 2011 & 2013 were very successful for Gatwick airport commercially as well as in continuous provision of new and existing brands for customers. The statistics shows that over 85% of travelers have rated the existing retail outlets at the airport as “Excellent” or “Good”. These expansions helped Gatwick airport to compete with Heathrow and other main European airports. Gatwick has attracted 6 million more travelers in the previous five years. As part of the new £1bn plan, Gatwick’s north terminal arrival area will entirely be renovated and existing shops & facilities will be repositioned to build more open public space area for improving travel experience. £21 million has been allocated to make an outstanding lounge inside the North Terminal, which will end up in expansion to the commercial and the restaurant space with total area of 30,000 sq ft. This will help Gatwick to open a new world Duty Free store, to match the south terminal, which became the largest duty free store when it opened in 2012. The duty free store for North Terminal is expected to open in 2017. All such steps for Gatwick’s development are appreciated but it is also very important to pay attention towards Airport Car parking at Gatwick. Development planes for airport parking can have a magical impact for boosting up the number of travelers. Facts and figures show that the number of people is rapidly increasing, who hire an airport parking company during their air travel. Previous PostHeathrow’s new strategy to connect UK nation & regions for global growth.Next PostEnjoy Inexpensive traveling with Easy Tips.